Cry, the beloved country, for the unborn child that is the inheritor of our fear. Let him not love the earth too deeply. Let him not laugh too gladly when the water runs through his fingers, nor stand too silent when the setting sun makes red the veld with fire. Let him not be too moved when the birds of his land are singing, nor give too much of his heart to a mountain or valley. For fear will rob him of all if he gives too much. 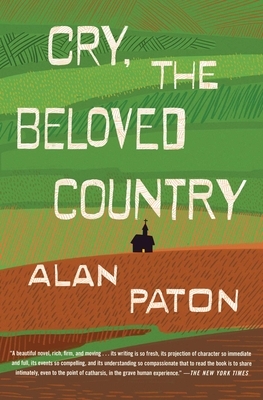 Alan Paton, a native son of South Africa, was born in Pietermaritzburg, in the province of Natal, in 1903. Paton's initial career was spent teaching in schools for the sons of rich, white South Africans, But at thirty, he suffered a severe attack of enteric fever, and in the time he had to reflect upon his life, he decided that he did not want to spend his life teaching the sons of the rich. He got a job as principal of Diepkloof Reformatory, a huge prison school for delinquent black boys, on the edge of Johannesburg. He worked at Diepkloof for ten years, and at the end of it Paton felt so strongly that he needed a change, that he sold his life insurance policies to finance a prison-study trip that took him to Scandinavia, England, and the United States. It was during this time that he unexpectedly wrote his first published novel, Cry, the Beloved Country. It stands as the single most important novel in South African literature. Alan Paton died in 1988 in South Africa. "A beautiful novel, rich, firm and moving...its writing is so fresh, its projection of character so immediate and full, its events so compelling, and its understanding so compassionate that to read the book is to share intimately, even to the point of catharsis, in the grave human experience." "The greatest novel to emerge out of the tragedy of South Africa, and one of the best novels of our time."